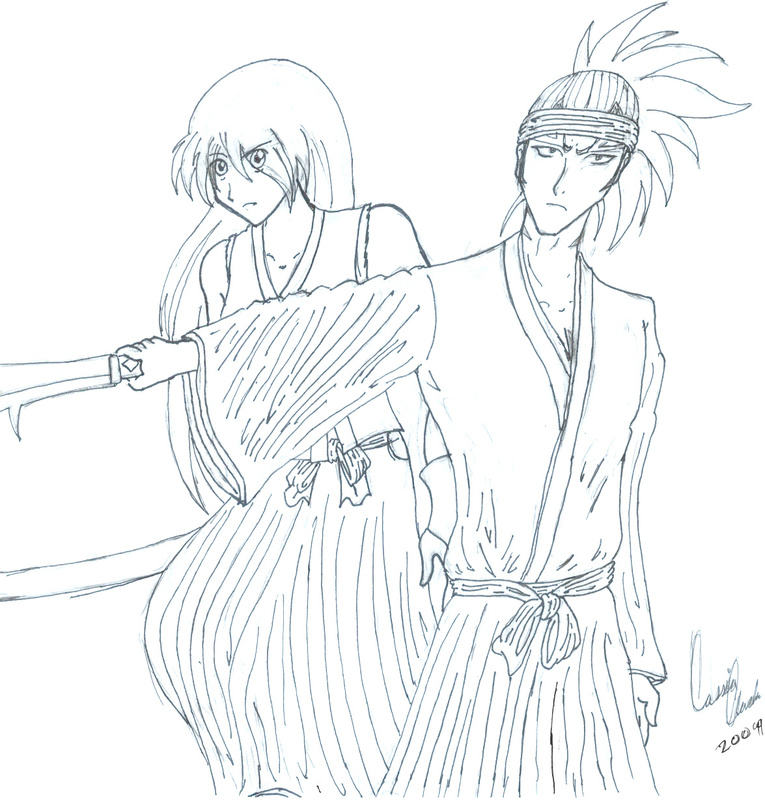 A request for KyiNekoYasha of her OC, Rentora and Renji Abarai. Very fun to make, since he is my fave character. I'll post a colored version of this one later. Date Submitted December 31, 2009, 10:15:00 AM Time Taken 3 hrs 30 min. oh my gawd! thank you!!! this looks amazing!